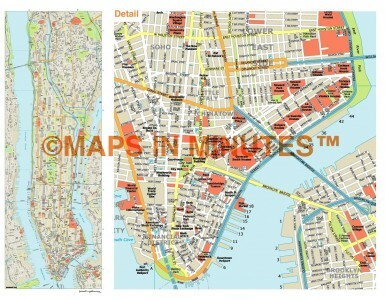 Royalty free city map giving good detail and area coverage including important buildings and places of interest. These City and Town plans have been developed to be equally at home in print and screen environments and are licenced for use in print, on websites, film, television and Apps. Being vector format they are 100% editable so they can be easily customised. Up-to-date, detailed, 100% editable layered vector map. Suitable for use from A4 to A3. 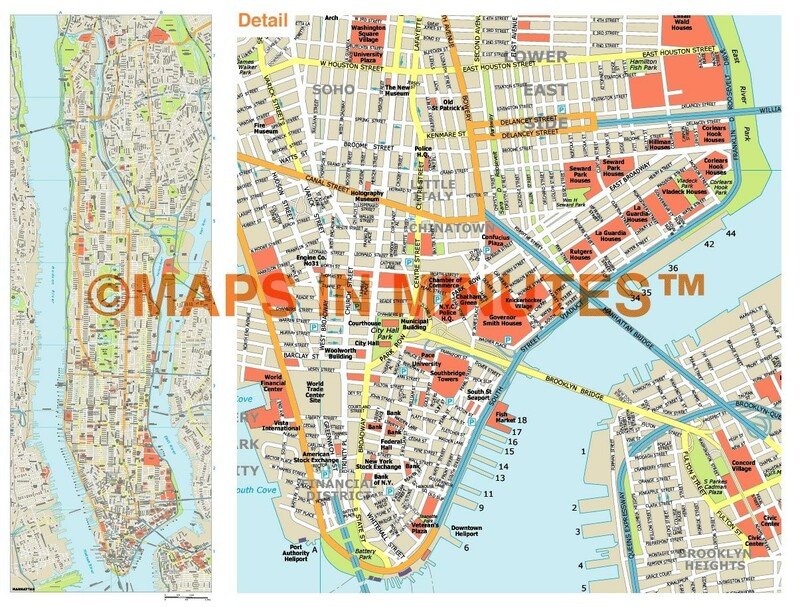 Manhattan map giving good detail and area coverage including important buildings & places of interest. These City and Town plans have been developed to be equally at home in print and screen environments and are licenced for use both in print and on websites. Being vector format they are 100% editable so they can be easily customised. Available in Illustrator CS (PDF format coming soon).